The actual purpose behind creating The Green Foundation was to help the environment in remaining green. Their main task is to recycle unused electrical products such as cell phones and other gadgets. Later, the recycled material is used in making various products. The program of recycling started from a small scale and reached its peak when the foundation started contacting schools and big institutes. Besides Dubai, this organization always remains ready to provide consultancy to other cities of UAE as well. The money gathered from recycling is later given to charity organizations as funds. Whatever they receive is 100 percent recycled and this is a huge step in keeping the environment clean. So those who wish to step forward in keeping the environment clean should become a part of this foundation and play their role. 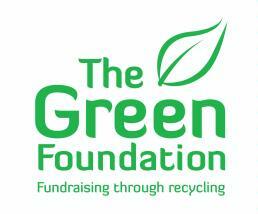 The foundation collects all kinds of gadgets which you intend to throw away and, with zero cost those items are recycled. It also gives effective ideas to the government that can help in keeping the environment green. Majlis Al Ghoreifa 2 is the nearest bus stop and it takes 6 minutes by walk to cover 500 meter distance between the two locations. The routes that make stop at this point are 8 from Gold Souq Bus Station 2A, 88 from Airport Terminal 1 and X28 from the Lulu Village 1. 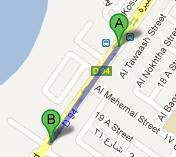 From the stop, head in the southwest direction on Jumeirah Rd/D 94. Keep marching straight until you reach your destination. For a detailed view of the map, click here!